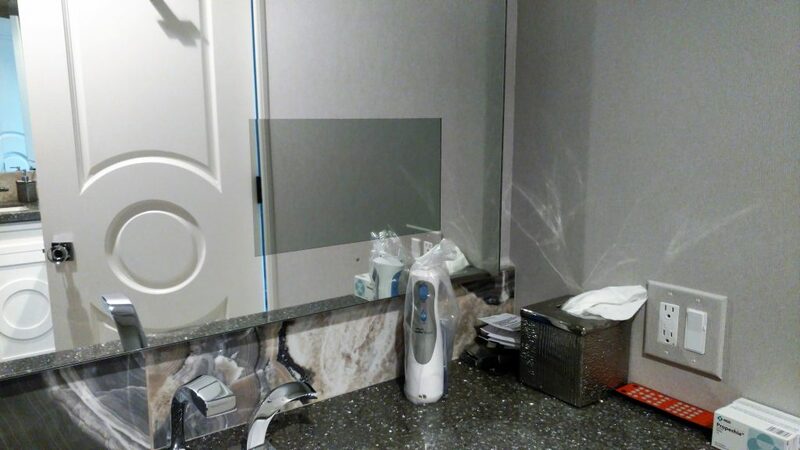 That rectangle you see in the bathroom mirror is a flat-screen TV! This makes a much cleaner, modern look, and does not take up counter space. Of course the TV is operated by a remote control. This modern remodel is nearly finished, and is the second remodel in several years of a 100 year old home in La Jolla, California. There are many interesting design concepts in this home, so stay tuned for more!